Michelle Fine is a Distinguished Professor of Critical Psychology, Women’s Studies and Urban Education at the Graduate Center, CUNY. Author of more than 15 books and over 100 articles. Fine is currently involved in “national conversations” with Muslim American youth and a national participatory project designed by and for LGBTQ youth of color – including a subsample of Muslim American youth. In November, her newest book, JUST research in Contentious Times will be published by Teachers College Press. 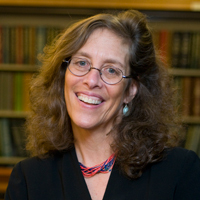 Fine has testified as an expert witness in well known gender, sexuality and race discrimination education cases, and is the recipient of a range of awards including: 2018 STAATS Award from the American Psychological Foundation for Lifetime Achievements in Science; the 2017 Award for Distinguished Contributions to Qualitative Methods from Division 5 of the American Psychological Association; the 2013 Strickland-Daniels Mentoring Award from the Division of Psychology of Women of the American Psychological Association, 2013 American Psychological Association Public Policy Research Award, the 2012 Henry Murray Award from the Social Psychology and Personality Society, 2011 Kurt Lewin Award from the Society for the Psychological Study of Social Issues.